The beauty of teaching homeschool art, is that we can observe as children express themselves using a variety of mediums and in different ways. As we homeschool, we should look for opportunities that we can make art part of our day, our lives and teaching. Art is always a reflection of what God has placed in nature and in the world and so, in my mind, Art, for a Christian should also follow the wonderful words of Philippians 4: "Whatever is true, whatever is lovely, whatever is admirable...."
We should encourage our children to dwell on what is good and pleasing, but also recognize how history and philosophy have shaped art. As the student matures, it is worthwhile to critique artistic pieces of work, place it in its context, historically and analyse it meaningfully. Art can be defined according to its Artistic Elements and can be studied according to Principles of Design which refers to how the artist uses these elements in a piece of work. This subject can also be described by the Technique which is being used- drawing; painting; sculpture; pottery; modeling, carving and constructing; print-making; computer art; murals; puppetry; and so on. It's hard to imagine a drawing without lines! Lines are a crucial part to the whole work of art. Lines can describe emotion, action, peacefulness. 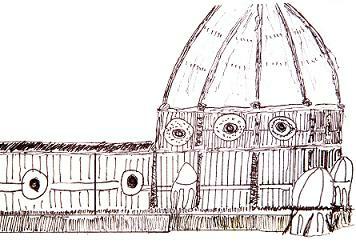 "Line" can refer to free-flowing lines and also the measured lines of a Gothic cathedral. The use of perspective, control or the free-flowing, seemingly lack-of-control is a part of the way an artist uses line. Barry Stebbing's Art Curricula focuses on the skill of drawing - working with line, texture, shading, and developing drawing skills in an incremental way. "Draw Lines, young man, Draw Lines!" Text, Paints & Brushes, Fine Pen, Watercolor Markers, Eraser, and 12 Prismacolor Colored Pencils. 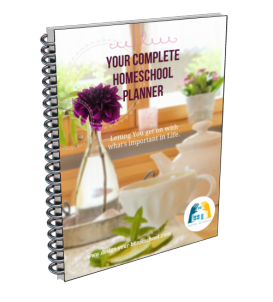 Everything you need to complete this course! Recommended for ages 5-11. One way to teach homeschool art is to focus on each of the elements at a time: exploring and working with the elements (in this case, line) and also spending time analysing a variety of artists and their use of that element. The use of colour in art is very powerful. Colour creates mood and can influence people in different ways. As soon as we walk into a painted room, we respond to it in varied ways. So, too with Art. Colour produces response and the artist will use it for a variety of effects. Value: the tone - the darkness or lightness of a hue. Saturation: This indicates how "pure" the colour is. If it has not been mixed with another colour, it is described at its maximum saturation. Complementary Colours: refers to the relationship between primary and secondary colours on the colour wheel. The complementary colours are those which are opposite eachother on the colour wheel - red/green, blue/orange and yellow/violet. Primary colours: The three primary colours are red, yellow and blue. Primary colours cannot be mixed from any other colours. Secondary Colours: When two primary colours are mixed together, it produces a secondary colour - blue/yellow = green; blue/red = violet; red/yellow = orange. Tertiary or Intermediate Colours: When you mix adjacent primary and secondary colours together, you produce an intermediate or tertiary colour - yellow and orange produces a orange-yellow colour. Analogous Colour: are like families of colour; Five or less colours which sit nextto eachother on the colour wheel always feel comfortable together. Warm Colours:The adjacent colours of the colour wheel which give a "Warm" effect and give the effect of coming forward or advancing. The colours are yellow-green, yellow, yellow-orange, orange, yellow-red, red, red-violet. Cool colours: are those identified as "receding" and are from yellow-green to violet on the colour wheel. These are normally "calming." Tonality: refers to the general colour effect in a painting. It can be achieved through use of analogous colours. Colour Wheel: is the spectrum of colour arranged in a circular wheel, showing the relationships between colours when they are mixed. One way to teach art is to focus on the element of colour, use it in different ways to illustrate the power of colour and also the power of absence of colour and to view and analyse how artists use colour to create mood and tell a story. We think of texture as to how a subject feels or the illusion of how it may feel. We describe texture in the degree of roughness or smoothness. Paint can give texture by the amount of paint used and also the technique in which the paint is applied.Every surface has a texture and children take great pleasure in observing the effects of texture such as leaf/bark rubbings working with crayon or pencil. Working with different textures can include ideas such as collage, print-making and stencilling with potatoes, wood-cuts, string over wood, linoleum, and sculpture using a variety of mediums - clay, wood, soap, wire and so on. This refers to the body of the work of art and the space that surrounds it. We readily understand the concept of mass when we view architecture, the huge spires and the balance of masses and space in sculptures. Of course a painter gives illusion of space in his two dimensional work.It is sometimes difficult for a student to understand how to use his page or how to deliberately leave space. One way to teach art is to focus on the elements - in this case, space, and teach the element through spatial activities and study how and why artists have used space. Form refers to the three-dimensional aspect of art forms. In sculpture, you can physically touch and observe all the three dimensions of a form, but in a painting the artist needs to create the illusion of shape, space, and depth. This can be done with light,dark, brushstrokes, and use of perspective. Value expresses the differing shades of a colour. In drawing, different pressure of the pencil, charcoal or chalk causes the differing degree of lightness or darkness on the paper. Shadows are produced in this way and balancing these elements create depth, form and is used in various ways. One way to teach homeschool art is to focus on the elements - in this case, Value, and teach the element by making monochromatic (one colour) drawings or paintings and through observing how the artists have controlled this element of design. Make your life easy and use Artistic Pursuits which is a curricula which focuses on the design elements of art. 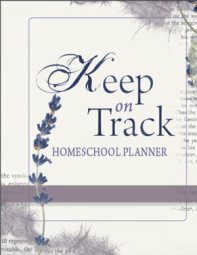 There are many books in the series covering primary and high school years. 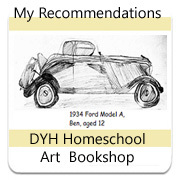 I have written more about homeschool art on the Artistic Pursuits Page. Artists use and understand these elements in such a thorough waythat they use them in a piece of work in varying degrees to obtain their desired goal. It is helpful for us to understand how these elements can be used, teach structured goals to practice and "play" with the elements and then observe, critique, analyse and work with the Principles of Design to gain further understanding of how artists approach a piece of work and achieve their desired outcome. This is the way in which aspects of the art work balance each other to make a comfortable composition. Large figures can be balanced with a number of smaller figures; darkness with large forms; or an equal distribution of weight of form on each side of the paper. This is the way an artist uses size to accentuate a person, shape, feature for a specific reason. This is the way in which artists use the repetition of of an element to focus the attention of the audience. It can also describe the movement in which the artists wants to move the viewer to reach the focal point of the art. This is a way in which artists emphasize a certain feature to draw attention to it. Unity describes the art as a whole, not unconnected elements or features, but how the artist has used colour, shape, form, rhythm and so on to achieve a unified whole, giving the viewer a comfortable feeling. Drawing - using pencil, charcoal, texta or marker pens, crayons, pastels, oil pastels, pen and ink. 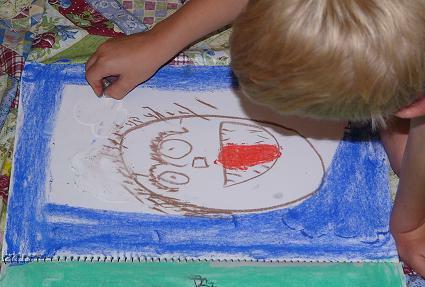 Need some Drawing Ideas for lesson plans? Click here. Painting - acrylic; water colour painting; oil painting;Need some Painting Ideas for lesson plans? Click here. Sculpture and Pottery - modeling, carving and constructing; Here children can use clay, wood, plaster of paris, soap to form into three dimensional forms. Other 3D constructions can be made from wire, straws, and a combination of any re-cycled junk. 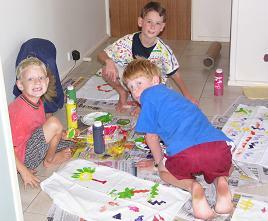 Other Group Art Activities - Puppetry, Murals using paint, paper, chalk, crayons; Mosaics- using paper, tiles. Handcrafts - Weaving, Stitchery, Costume making, Sewing. Read Art in Story as you explore the history of art. Teach how to appreciate and critique Art.